I am grateful that vaccinations against many diseases that were commonplace when I was a child are now readily available in Australia. I am grateful that these vaccinations protect children from suffering the diseases which were an expected part of growing up when I was young. Thanks to the scientists who studied the diseases and developed the vaccinations, most children in developed countries should not fear contracting diseases such as polio, measles, mumps, rubella, chicken pox, smallpox, tuberculosis, whooping cough and others. I look forward to the day when these diseases are eradicated worldwide. Unfortunately many parents, who have neither witnessed nor experienced the effects of these diseases (due to the effectiveness of immunisation programs), do not appreciate the seriousness of contracting them and choose to not vaccinate their children. In doing so, these people not only put the health of their own children at risk, but also the health of others in the community. Sadly these people are usually misinformed by purveyors of unscientific ‘evidence’. The numbers, and science, stand strongly on the side of vaccination. This issue is one that I feel strongly about for evidence shows that an entire community can once again become vulnerable to these diseases if enough people reject immunisation. The risk of disability or death occurring as the result of a preventable disease, in my opinion, is one not worth taking. At the end of this post I will link to various articles and websites that explain in greater depth and with more scientific and medical support than I am able. The impetus for sharing my thoughts on this issue came from Lisa Reiter who, on her blog Sharing the Story, invites others to share Bite-size memoirs. This week’s topic is Childhood Illness. I remember rushing to be first into the bath, but instead slipping and falling into the pot of hot water that had been heated on the stovetop in readiness to add warmth to the cold from the tap. I remember being terribly scalded and that I was rushed to the doctor. I remember being dusted with powder while I lay on his high surgery table. I was three at the time, so while I have some images that I am sure are genuine, others may be family lore. I remember a girl in my class at school who had suffered from polio. Her name was Christine and she lived not far from me. She had one boot that was built up, about 4 inches high; and she had iron cages around both legs. She walked with difficulty and a sway from side to side. Interestingly enough my husband, who grew up on the other side of the world, also had a friend who suffered from polio and had a built up boot. I remember reading about ‘the girl in the iron lung’ and being terrified of contracting the dreadful disease polio. I remember feeling very relieved when we were given a tiny pink droplet of vaccine on a white plastic spoon. Thank you Dr Salk. Polio has not been a cause of fear for my children or grandchildren. I remember us all having the mumps when I was eight and my Mum was pregnant with my little sister (the seventh of ten children). I remember that our glands were swollen and our throats were sore. We were tired, headachy and miserable. 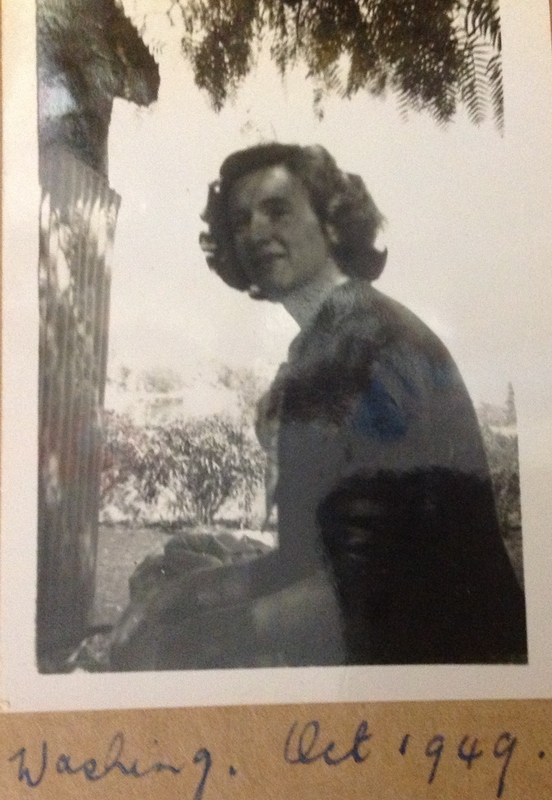 I remember my Mum got Bell’s Palsy too, and the muscles in her face were affected and never fully recovered. I remember her being sick in bed for weeks and a friend kindly came and stayed to look after us and help out. I remember having measles and being dabbed all over with calamine lotion to help stop the itch. It was difficult to not scratch. I remember when the rubella vaccination became available, but it was too late for me because I’d already had it as a child. I remember thinking how lucky everyone was to be able to have the vaccine and not suffer the illness. I remember having chickenpox during the summer holidays when I was about thirteen or fourteen. It was such a scorching hot summer, or it certainly seemed that way; two weeks of the longed for holidays ruined by this horrible illness. I remember the chickenpox blisters that started small, then grew bigger and finally scabbed. I remember the pink baths in Condy’s crystals and the strong smell which I would still recognise if not describe. I could never associate it with anything pleasant. I remember waking one night and finding three neat little piles of vomit on my bed beside my pillow. I remember waking my Mum and her coming and cleaning it up. What overwhelms me now when I think of all these childhood illnesses that inflicted us with so much discomfort is the thought of my mother tending to a houseful of sick kids, when she was probably sick herself, and if not sick then probably pregnant or at least feeding a baby. What a life it would have been. One child going down after another, moaning and complaining and needing attention or treatment. I found it difficult with just one child at a time! (There are 12 years between my two.) On top of that she had all the usual household chores and a husband to attend to. Makes me wonder that she wasn’t worn out long before her 90 years! How grateful she would have been had we all been inoculated against these now preventable illnesses. Thanks, Lisa, for the opportunity of sharing these memories, and thank you, my readers for indulging me. This entry was posted in Family, Writing and tagged chickenpox, illness, immunisation, innoculation, measles, memoir, mumps, polio, rubella, vaccination on June 18, 2014 by Norah. I’m too busy to be tired! This week’s flash fiction prompt posted by Charli Mills posed a challenge for me. In 99 words (no more, no less) write a story about exhaustion. and maintain my focus on education? Do I ignore the prompt and post about education? Do I respond to the flash fiction prompt in isolation? Neither of these alternatives appealed as I have been enjoying the camaraderie and support of the flash fiction tribe as well as the opportunity to experiment in a genre that, while not an immediate writing priority, I may move towards in the future. On the other hand, as my intent with this blog is to share ideas and thoughts primarily about education, I don’t want to become distracted from my focus. As do many, the idea for this prompt attached itself to me when I wasn’t thinking about it. Ideas tend to pop into my head when I first awaken in the morning, when I am showering, or during any other moment when my thoughts are free to flit and fly without the constraints of achieving a particular outcome. This one descended when I was out for a drive appreciating the beauty of the pure white clouds, like puffballs, on the bright blue sky of a glorious winter day. It plopped down, ‘Barrrump!’ just as the space-bat-angel-dragon from The Iron Man by Ted Hughes had plopped down on Australia. 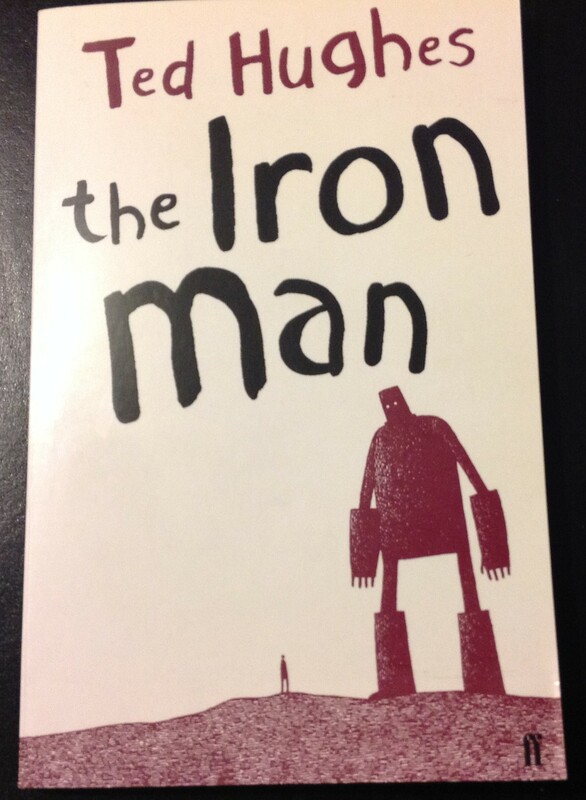 As mentioned in a previous post, The Iron Man is one of my favourite books. It is a great story told in beautiful language. On the back of my copy a quote from the Observer declares that it is ‘Reckoned one of the greatest modern fairy tales.’ The rhythm and poetry of the language begs for it to be read aloud. Because it has just five short chapters, ‘a story in five nights’, it is perfect as a first chapter book to share with younger children, and can be read to a class in a week, a chapter a day. 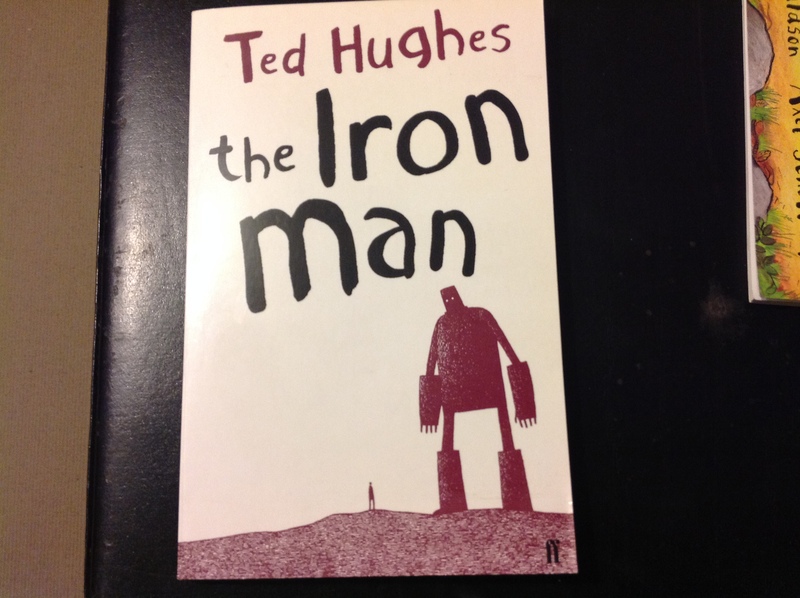 The chapter I wish to share with you in this post is #4 ‘The Space-Being and the Iron Man’. The previous chapter has seen The Iron Man happily ensconced in a huge scrap-metal yard. It could have finished there with a happily ever after ending. But no. It was only chapter 3. There were two more chapters to come! What excitement was in store? ‘One day there came strange news. Everybody was talking about it. Round eyes, busy mouths, frightened voices – everybody was talking about it. ‘The people of the world decided they would not feed this space-bat-angel-dragon … they would fight it.” But all the forces of the world were no match for the dragon. As you may have guessed, this is where the heroic Iron Man devises his plan ‘to go out, as the champion of the earth, against this monster from space’. The dragon was very surprised to be challenged to a test of strength. Teachers weren’t on this list, but they could have been at the top. Anyone who lives with, or has a friend who is, a teacher knows the long hours they work. Because it is a caring profession it is impossible to leave work at the gate and pick it up the following day. Content-driven curricula and unrealistic expectations imposed upon both teachers and learners place extra stress upon all stakeholders. Long before a school terms end teachers are tired, stressed and in need of time to recuperate and recharge in preparation for the next one. At the moment most teachers in Australia are conducting assessments, evaluating their own work and student learning, preparing report cards and conducting teacher-parent interviews. This is in addition to their ongoing tasks of preparing and teaching lessons and is mostly expected to be completed in out-of-scheduled work hours. When I was teaching I worked between 50 and 70 hours most weeks. I used to say that even with our ‘enviable’ holidays we were still owed time. In my current out-of-the-classroom role as writer of curriculum materials, I now feel the difference as I don’t have to think about it away from my desk. I still get tired, but not the same heavy exhaustion that comes from giving all; physically, mentally and emotionally, to a class of 25 active learners while trying to stay afloat amidst ever increasing expectations. So my flash this week recognises the teachers who, buried under a pile of paperwork and lost in a maze of data collecting spreadsheets, still struggle to be everything to everyone, endeavouring to make every child feel special and valued, while often feeling that their own work fails to achieve any real recognition. Enjoy the break, teachers. You deserve it! This entry was posted in Blogging, Early childhood education, Education, Favourite reads, Flash fiction, Stories, Writing and tagged Children's literature, creativity, early childhood, exhaustion, Flash fiction, learning, School, teacher, teaching, Ted Hughes, The Iron Man, thoughts and ideas, tired, Writing on June 16, 2014 by Norah. 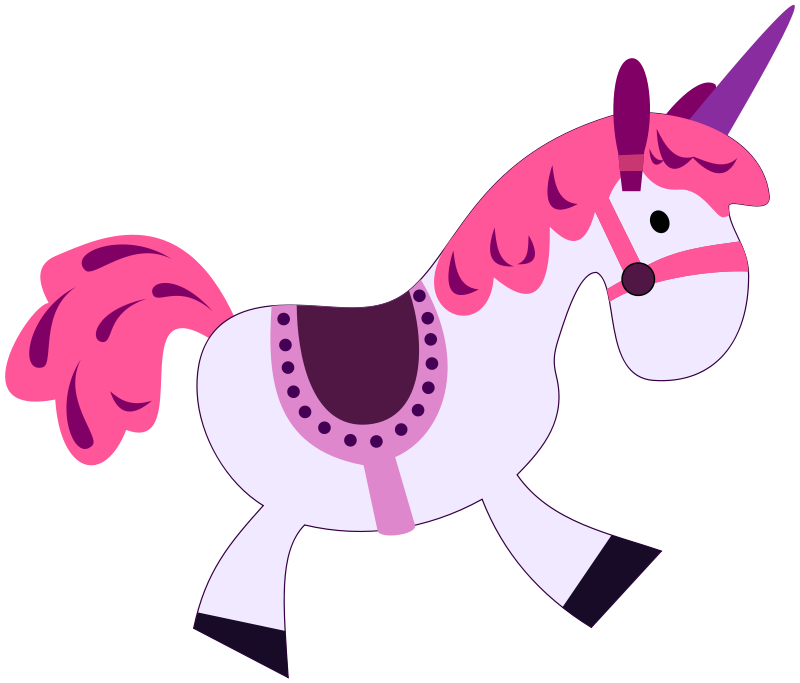 Of rainbows and unicorns – Part 2 – Do fairy tales and fantasy still have a place for children? While I acknowledge these elements occur, I am not prepared to abandon fairy tales because of it. While I may consider a diet of only fairy tales problematic, I think something would be lacking if a child was refused access to the richness of their stories and tradition. Like most fiction, they offer an avenue for escapism. In addition, the stories can be used as a tool for initiating non-threatening discussions of the issues listed above. Following a comment by Richard Dawkins, a recent discussion on The Guardian considered whether fairy tales are harmful to children. So far the consensus seems to be that they are not. 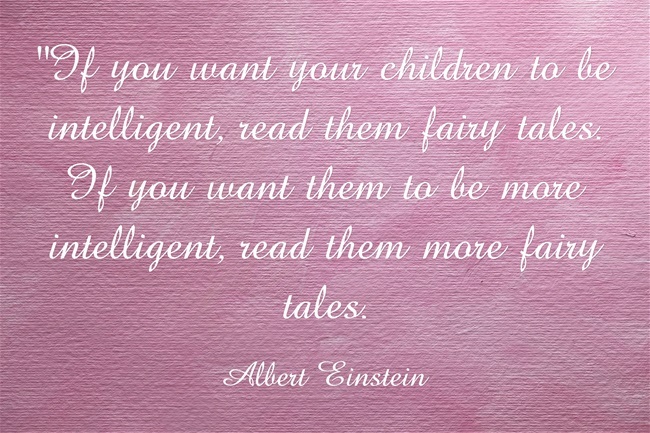 Albert Einstein was a supporter of fairy tales and is often attributed with the following quote, discussed in more detail by Maria Popova on brain pickings. “In an increasingly complicated world, we more than ever want our children to be able to think with clarity, rather than lead lives hampered or derailed by all those false assumptions and unexamined prejudices that seem as easily inherited as freckles or brown eyes. Think of the ethical inquiry that could occur when discussing Goldilocks and her break and enter, Jack’s theft of the giant’s belongings and the constant portrayal of the wolf as the bad guy; just to get you started. What do you think? Should we read fairy tales to children? Why/why not? What are your favourite fairy tales and what lessons have you learned from them? This entry was posted in Creativity, Early childhood education, Education, Favourite reads, Literacy education, Philosophy, Picture books, Quotes, Stories and tagged Children's literature, creativity, critical thinking, early childhood, fairy tales, Literacy, philosophy, Picture books, Reading, thoughts and ideas on June 11, 2014 by Norah. I am not a reader of adult fantasy novels. I have never read Lord of the Rings, The Hobbit or Watership Down. I just couldn’t buy into it. I’m sorry I have to admit it – it is true. 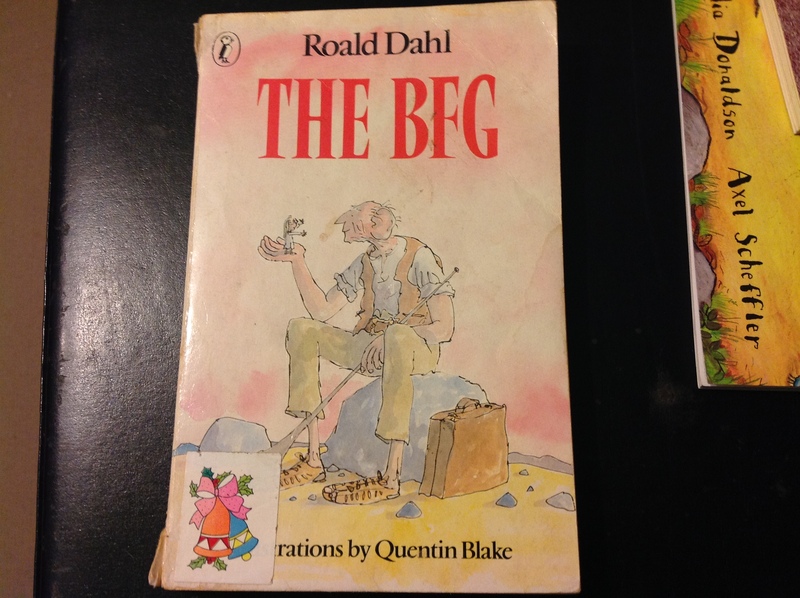 However, I don’t mind a bit of fantasy in children’s books and, in fact, really enjoy it. I didn’t mind the rats’ use of language in Robert C. O’Brien’s The Rats of Nimh while I couldn’t handle the talking rabbits in Watership Down by Richard Adams. I cannot explain why my response is different but I’m sure it has something to do with the ability to suspend disbelief. I am obviously more able to do that when encountering fantasy in children’s stories than in adult fiction. As both parent and teacher (and now grandparent) I love sharing stories with children. In addition to all the good things I know it is doing for them, it is doing lots of good things for me as well. Reading children’s stories written by masterful authors is one of life’s greatest pleasures and I love having excuses for doing so. 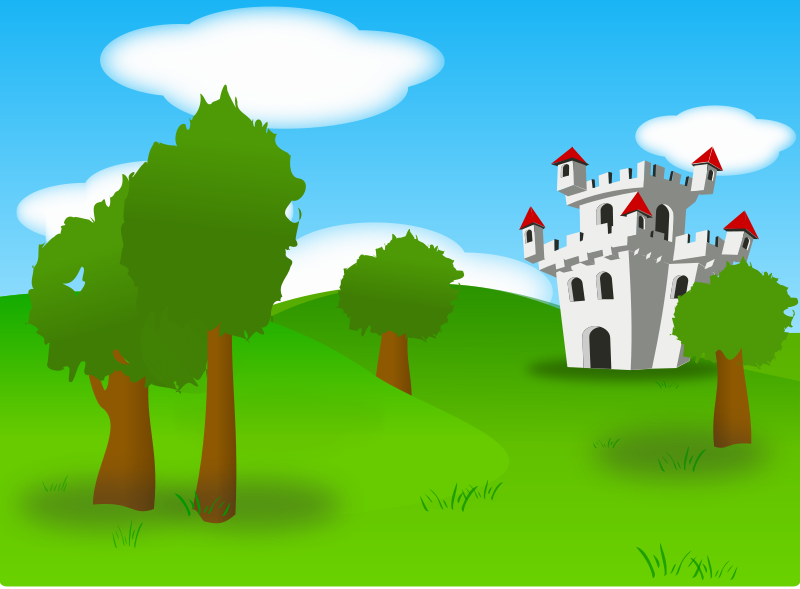 In 99 words (no more, no less) write a story that includes a fantastical element or creature. I am taking the opportunity of sharing with you some of my favourite fantastic creatures and magical realms from children’s stories. 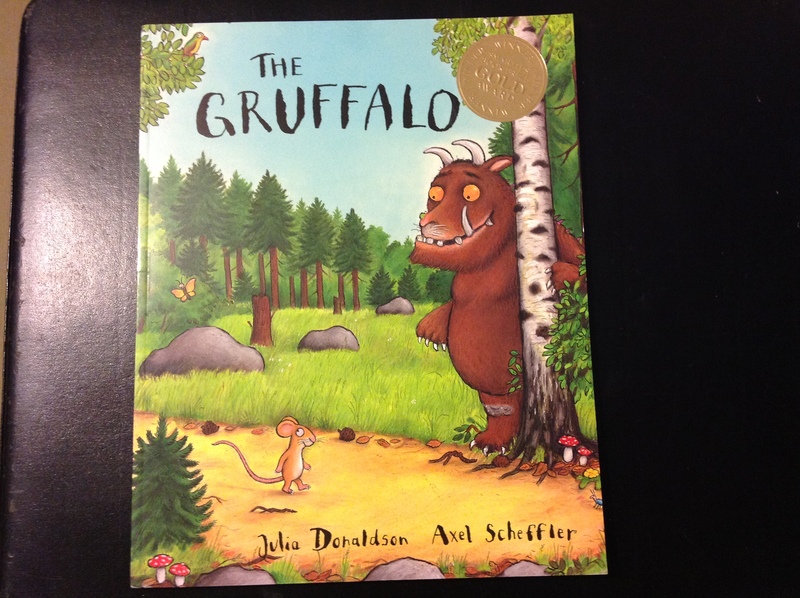 Each of these stories is wonderful to read aloud and share with children. Charli mentioned rainbows, unicorns and the phoenix. “Taller than a house, the Iron Man stood at the top of the cliff, on the very brink, in the darkness. “It wasn’t a human. It couldn’t be. It was four times as tall as the tallest human. It was so tall its head was higher than the upstairs windows of the houses. Sophie opened her mouth to scream, but no sound came out. Her throat, like her whole body, was frozen with fright. “And when she had nine raindrops Laura found that she could make the rain stop, by clapping her hands. So there were many, many sunny days by the sea. But Laura did not always clap her hands when it rained, for she loved to see the silver drops come sliding out of the sky. And Laura always made the rain stop for them. and The Kingdom Under the Sea (for children approx. 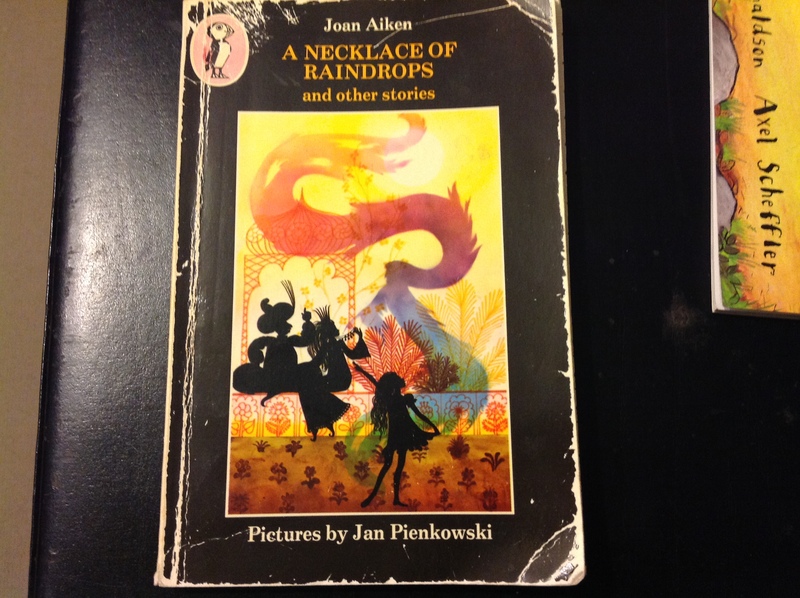 8 -12), each beautifully illustrated by Jan Pienkowski adding another element of wonder to the tales. While the above excerpts are short, like flash fiction, each demonstrates the skill of the author in choice of words and sentence structure. In his book On Writing Stephen King refers to these as forming the top level of the tool box. But these excerpts show a depth greater than that also. They create a connection, forming a relationship with and a need in the reader to know what happens. It is the ability of the author that sweeps us away, as if on a magic carpet, to other places and other lives. It is the ability of the reader to suspend disbelief that allows the journey to occur. I thought about how we, as either child or adult, use fantasy to escape realities that we may not wish, or not feel strong enough, to face. This brought me back to Charli’s unicorn. And now I offer my own bit of flash, which is not suitable for reading to children of any age. I welcome your comments on any aspect of this post; the books I have suggested for sharing and my own piece of flash. Don’t forget to pop over to the Carrot Ranch where you can read responses to Charli’s prompt by many other writers. This entry was posted in Blogging, Creativity, Early childhood education, Education, Favourite reads, Flash fiction, Stories, Writing and tagged Children's literature, creativity, critical thinking, early childhood, fantasy, fiction, Flash fiction, Joan Aiken, Julia Donaldson, Literacy, Picture books, Reading, Roald Dahl, Ted Hughes, The BFG, The Gruffalo, The Iron Man, thoughts and ideas, Writing on June 7, 2014 by Norah.